When it comes to reminders, you are faced with a lot of options. 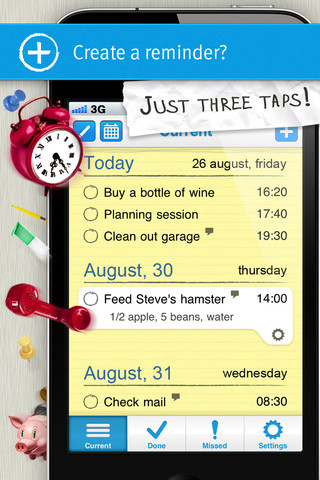 With the AppStore being flooded with apps whose main purpose is helping you remember the things that you need, is there any room for another similar app? Well, HeadFinder is here to prove that there's always room for a reminder app in the AppStore, as long as it brings something new and useful to the table. HeadFinder is the app that makes sure you don't forget what you have to do today, tomorrow, always. 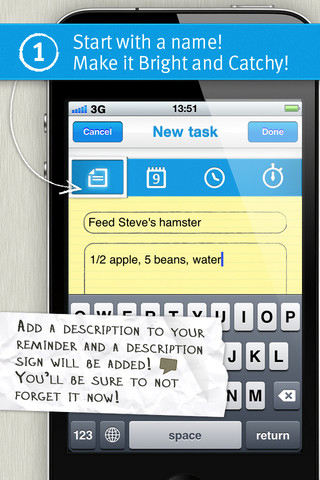 Just tap on the “Add” button, write your task and a description, if you want to make sure that you've got all the details that you need to remember, set the due date and you're all done. As simple as that and as similar to other reminders as it gets. But, fortunately, that's not all that HeadFinder does, starting with the really nice design and finishing with some settings that you wished to have found in other apps. When the time comes, HeadFinder notifies you by using a discrete sound and is integrated with Apple’s Notification Center. The notification contains all the details that you need to know, so there's no need to reopen the app. 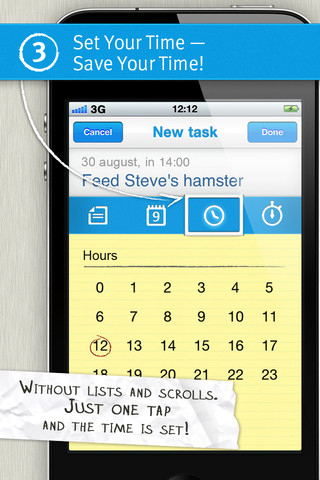 You can confirm acknowledging the task, change or postpone it with a single tap on the notification window. However, you don't have to wait for the notification to pop out on the screen to start doing what's on the list. 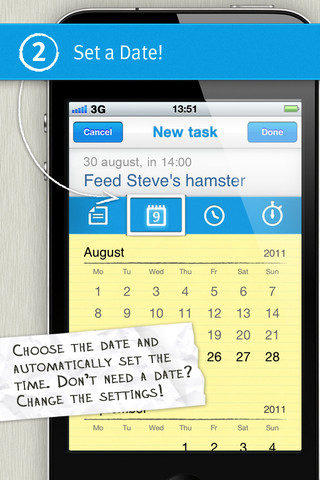 Just turn on the app, pick a date on the calendar and tick on the task to mark it done, once you finish it. And if you forgot to complete some tasks, there's no need to worry. Tap on the “Missed” icon to see what tasks you forgot to do or, better yet, change your settings to make sure that you have no missed tasks. Set HeadFinder to remind you up to 10 times about completing a task and you'll receive notifications every 5 minutes to remind you of the same task. Also, you can prevent the missed tasks from being deleted or set them to be automatically deleted after one week or up to a month. Truth be said, HeadFinder doesn't bring up something that we've never seen before. But what makes it an app worth purchasing is that it brings together all the features that you enjoy in other similar apps and always wished to find in a single app with a simple and unique design. And with HeadFinder, your wish might just come true! What do you think of HeadFinder ? Scroll down for our comment section and let us know!